Toyyaris (5 years ago) Inappropriate? 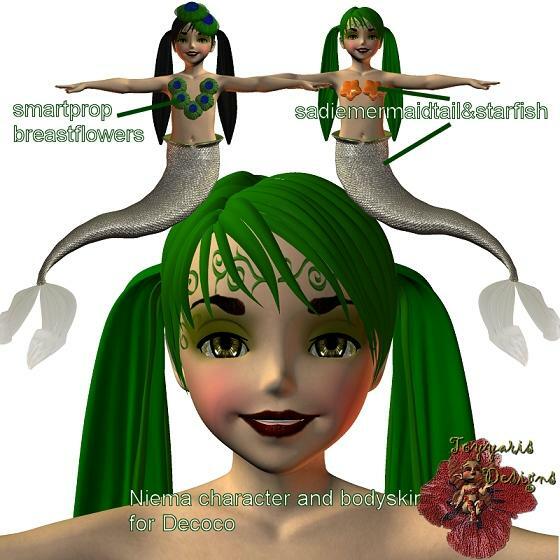 hai Arlesienne, this is an old creation from I made in 2008, the mermaidtail for Michael isn't available anymore, the link is correct, but the website doesn't host the freebies anymore, after 6 years, a lot of things are no more online.I will try to find it back but I doubt I will be able to, as soon as I have news I will put it down here. thank you for your interest in my more …hai Arlesienne, this is an old creation from I made in 2008, the mermaidtail for Michael isn't available anymore, the link is correct, but the website doesn't host the freebies anymore, after 6 years, a lot of things are no more online.I will try to find it back but I doubt I will be able to, as soon as I have news I will put it down here. Heart (11 years ago) Inappropriate? I found a mermaid tail for Mike at the 2nd link; I have the Sadie mertail; and I'm confused . . . do I need the mike one if I already have the sadie one?